Palmilla Beach is a peaceful little cove near the One&Only Palmilla. 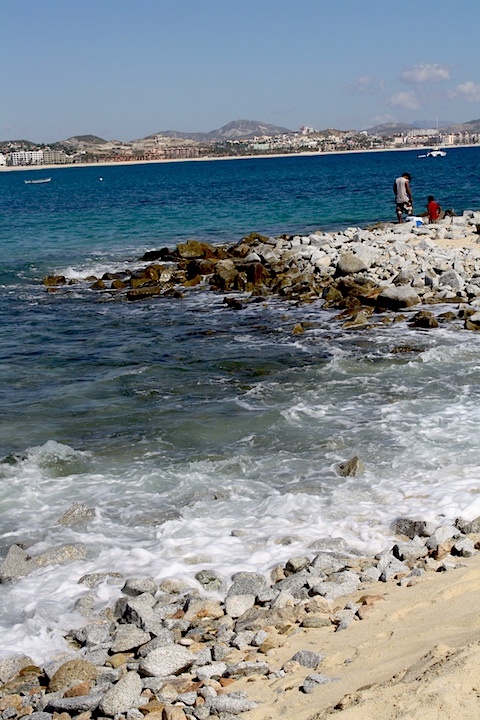 One of Cabo’s swimmable beaches, you’ll find families picnicing, sunbathing and fishing. Home to one of Cabo’s panga fishing fleets, you’ll see the cheery little boats lining the beach. Only 30 minutes from Cabo San Lucas (you can see most of San Jose del Cabo from the beach), Palmilla Beach seems like it is worlds away from the rowdy Medano Beach. There is a small lifeguard station and parking lot. Have you been to Playa Palmilla?